It was a sensational performance from Wenbo, who not only did he made his first professional maximum, but also made two breaks of 139 and another of 115 on his way to a 5-1 win over Martin Gould. I know that players such as Hendry, O’Sullivan and Higgins have scored a number of centuries in quick succession before but I’m not sure that I have ever seen scoring like this before in a best of nine frames qualifying match. 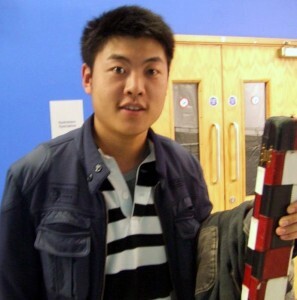 What makes it even more remarkable is that before today, Wenbo’s career high break in a professional match was the 134 he made during the 2005 UK qualifiers. What a way to break that! Liang will now play Michael Judge for a place in the final stages of the event tomorrow. If he plays like he did today then Judge might be spening a long time sat in his chair.